“The next day came “Maji” (who never speaks of herself but as “This body”) to see Madam, and I alone was then with them … I then gathered from what she said that she had been first in the body of a Fakir who, upon having his hand disabled by a shot he received while he passed the Fortress of Bhurtpore, had to change his body and choose the one that was now “Maji.” A girl about seven years of age was dying at that time and so, before her death, this Fakir had entered her body and taken possession of it. “Maji” is not therefore a woman but a real Hindu Fakir in the body of a woman. It is but one by one that I gathered all these particulars. “In his former body, this Fakir had studied the Yoga science for 65 years, but his study having been arrested and incomplete at the time his body was disabled and consequently unequal to the task he had to perform, he had to choose this other one. In his present body he is 53 years, and consequently the “Inner Maji” is 118 years old. “Most of us are subject to birth from necessity – Karma; that is, our thought and action in the past have been such as to bring us into a certain family, into a certain race, at a certain time and in a certain way under certain conditions and circumstances. Such births as ours are under Law; we are thus reaping what we have sown. But in the case of those Beings of whom we have been speaking, They do not always come to earth and enter into a body by our road of birth. Truly They come under Law, as do we all, but They know the Law and all its modes and processes, and They come by choice through that mode which best serves the occasion of Their coming. They may take a body which the Ego, or natural tenant, is leaving, and by agreement made on higher planes than those we know; such an abandoned body is used by that higher Entity for the purpose of His work in the world. “There have been two such occasions within our time. H. P. Blavatsky was one. The tenant occupying that body really left it when it was wounded unto death on the field of battle [i.e. at Mentana in 1867], and another Entity by agreement took it. That incoming Entity was one of “Those who know,” one of Those who had reached perfection, and who used that body for the purposes of the work of the great Lodge of Masters in the world. William Q. Judge was another. In that case the body was that of a child of seven or eight who was dying, who was pronounced dead by the physician in attendance. After a time the body showed signs of returning life, and recovered, but the nature of the child was different from what it had been before. To the parents it was still the same child. They saw the same body and thought it was the same Identity or Entity, but they soon saw the great change in the character, in the nature, in the tendencies. “Now these two cases point to something worth our utmost attention to try to understand: the occult laws governing Nature visible and invisible. They are all outlined in the last chapter of the second volume of Isis Unveiled, where this very mode of superhuman “birth” is broadly hinted at and illustrated: the Fact that a Being of higher knowledge and attainment can, by choice or by agreement enter a body, borrow a body, when the former tenant is leaving it. Many people – whether they call themselves Theosophists or students of the Ageless Wisdom – don’t seem to be aware that H. P. Blavatsky wasn’t some sort of telepathic “channel” or distant psychic vehicle for the Masters but had spent a combined total of over seven years living with the Masters M. and K.H. in both Little Tibet and Tibet proper. This is no mere speculation but a fact which has become increasingly confirmed by various means from various sources and researchers. These two Masters, and also their disciple Djwhal Khul, are known and confirmed to have paid many visits to Blavatsky in the presence of other people, both in their actual physical bodies (arriving on horseback at Adyar on one occasion, for example) and in their astral form. The being known as “HPB” was – judging from the evidence compiled above – inwardly a male Indian Initiate of the Trans-Himalayan Brotherhood who had taken up occupancy in the body and persona known as Helena Petrovna Blavatsky after the soul which had initially lived in that body had departed. More can be read and discovered in such articles as The Masters and Madame Blavatsky, Words from The Masters about H. P. Blavatsky, Responding to Lies about H. P. Blavatsky, Who wrote “The Secret Doctrine”?, Praise for H. P. Blavatsky and Theosophy, Gandhi on Blavatsky and Theosophy, The Closing Cycle, Maji – The Yogini of Benares, Damodar and the Hall of Initiation, An Invitation to The Secret Doctrine, Who was William Quan Judge?, and How to successfully study the Teachings of H. P. Blavatsky. I do not understand how Theosophy warns against channeling when H.P.B. clearly was channeling as shown in this article? What is the difference if any? Thank you for your comment and question Kara. What is there in the compilation of quotations above which makes it seem to you that “H.P.B. clearly was channeling”? She makes an important distinction in her first book “Isis Unveiled” (Vol. 1, p. 486-487) between Mediumship and Mediatorship. Channelling is simply mediumship under a new synonym. One vast difference between even the purest and least deluded of channellers and HPB is that HPB was inwardly a male Indian Initiate of the Trans-Himalayan Brotherhood who had taken up occupancy in the body and persona known as Helena Petrovna Blavatsky after the soul which had initially lived in that body had departed. From what we can read from various sources, we can assume that this was something pre-arranged and done for a definite, specific, and highly important purpose. HPB never channelled anyone but was an Adept in her – or rather his – own right. On occasions she acted as a Mediator for relaying messages and letters from the Masters, who were her own Teachers, but these were physically incarnated men living in various parts of the world, not disembodied spirits and not so-called “Ascended Masters” floating round on other planes. You may possibly find that some of the articles linked to at the end of the above article will offer further insight and clarification. You might also find it interesting to read “To Understand the Real HPB” at https://blavatskytheosophy.com/to-understand-the-real-hpb/. thank you. I have not read Isis Unvealed…yet. To answer your first question I was understanding from this article that another entity that is NOT the personality or soul/ego of Madam Blavatsky is speaking through her and possessing her. My only experience with Eastern philosophy is Zen Buddhism, and I am a beginner student… for many years. What you describe in your answer reminds me of “possession”, although you say you assume the “occupancy” was pre arranged. I am curious, why the Indian initiate went through Helena rather than choosing it’s own reincarnation? I’ve read almost every article on this site in the past few weeks, but have many questions, even though my Zen background has helped me with much of it. I am glad there is someone here ready to answer questions so I will continue asking as I go. I Found the Secret Doctrine on line at http://www.theosociety.org/pasadena/sd/sd-hp.htm While fascinating, it is very difficult to understand the beginning Cosmo genesis. I admit I stayed away from Theosophy for so long because of the misrepresentation by the New Age teachings, but thanks to this site I am learning how much is what I already understand from Zen Buddhism. There are so many people who admire Abraham Hicks, even I did for a time. Can you explain the difference between the Abraham entity and what is going on with H.P.B.? This type of occupancy is fairly well known in Indian and Eastern mystical traditions. The ability to transfer one’s individual consciousness into a recently departed body is enumerated amongst the faculties and abilities of an advanced Yogi. Also, if you read the article “Who was William Quan Judge?” at https://blavatskytheosophy.com/who-was-william-quan-judge/ you’ll see something similar being described. The reason for assuming that the occupancy was pre-arranged before it occurred is due to the fact that the Masters are Beings of Compassion, who never go against the free will or wishes of anyone and who always only act in accordance with Karmic Law. To answer your question above, there may be many reasons – some of which are no doubt related to matters of Karma, matters of time constraints, and also the importance or necessity of a specific female figure from a specific family and background being the visible spearhead of this Movement – but they have never been clearly stated or specifically revealed. One reason why such an Initiate is unlikely to incarnate – or rather, reincarnate – in the normal method is because much precious and important time is thus wasted by such an advanced soul having to pass through the babyhood, childhood, and youth stages, of which it has no need. It makes more sense to take occupancy of an adult body which has already passed through all that and which is already well prepared and suited for the purposes and experiences to be followed and undergone in the task and mission of the incoming one, who up until that time will have been functioning consciously on other planes. In regard to “The Secret Doctrine” you might find it easier to understand if you first read such books as “The Key to Theosophy” by HPB, “The Ocean of Theosophy” by William Q. Judge, and “Answers to Questions on The Ocean of Theosophy” by Robert Crosbie. B.P. Wadia’s “Studies in The Secret Doctrine” might also be useful. As for the “Abraham” entity you mention, as far as I understand this was a discarnate being who operated by speaking through an incarnated individual who was willing to serve as his mouthpiece or “channel.” As you can see, this is quite different from the HPB situation, as are the content, nature, and aim of the teachings! Please feel free to e-mail me at spiritualrealities3000@gmail.com anytime you have questions about anything you’ve read. You may prefer it to communicating through these online comments which are all visible to the website visitors and it’s also the case that WordPress doesn’t always notify people when there’s been a response to the comment they posted. “I am curious, why the Indian initiate went through Helena rather than choosing it’s own reincarnation?” – well I gusess the true answer to that question can only be given by that Yogi himself, but some answer might be – a new physical body needs a new “mind” and “heart” that takes hard efforts to recover previous knowledge. And it is more easy to “borrow” a “slightly used” body from somebody who can not use it any more, or is willing to share it with someone else, for some reason, for it alows keeping one’s old mind and heart. Sidhartha was born as a baby and had to learn his lessons. Although the story about ocupying the body by someone else would sound for modern psychiatry as plain shizophrenia, we could consider that while illness in one case can be an opportunity in other and Adepts have just learned from the nature as allways. From the article turns out that not the woman – Madame, but some other person who was ocupying her body was the one World knows about. The Madame met her Master in 1851. After that she followed her Master’s orders. Do we have to believe that her Master sent her to die in the battlefield to free her body for some other Adept? Approx. in 1868. she went to Tibet, than she returned and we have evidences including her own, that Adepts are using her body at times. I can not recall the source but I remember reading that in Tibet, she had her 4th principle manipulated so that Adepts could enter her physical form. Who held her personal correspondence with family and aquintainces and refere to herself in feminine form all those years after? Who was that old woman with all her bad temper and attachments? Was it just a show to fool all and everyone? OK, the Adepts wrote her books and held conversations with scholars when the knowledge higher than that of hers was needed. 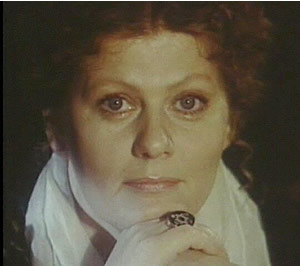 But the person that has been born as Helena was also great soul and an Adept, the chela of her Master. And Theosophists should not forget that. Thank you for sharing these thoughts and comments. Ultimately our knowledge and understanding of the nature and identity of the real HPB is limited to statements and references that we can find written in books and letters and our own personal conclusions based on such statements. The full facts are never likely to be given out in writing and I certainly do not claim to know the full facts. But in answer to the question “Who held her personal correspondence with family and aquintainces and refere to herself in feminine form all those years after? Who was that old woman with all her bad temper and attachments? Was it just a show to fool all and everyone?” – I would answer by pointing out that surely the “astral” nature and personal ego (i.e. the personality) of the original Helena Blavatsky would have remained intact even after that soul had departed from the body, in light of the special nature of this change of occupancy, and so the new inner Adept occupant would be able to function, speak, and act as the original Helena Blavatsky whenever and wherever necessary and convenient, without it actually being a deception in the ordinary sense of the word. In the case of William Q. Judge, it was spoken of as “two astrals” being at work, i.e. that of the original occupant of the Irish body who departed from it through death at the age of 7 and that of the Indian Rajah who at the same moment took occupancy of the Irish body. I definitely agree that both the original Helena Blavatsky and the Adept known as “HPB” are thoroughly deserving of our utmost reverence, respect, and gratitude. We do not know the whole story and the whole mystery but even the little we can perceive of it provides us with a glimpse into something extremely sacred and of vital importance for the world…the working of the Masters and their Brotherhood. Thank you for your exhaustive answer, still probably due to my ignorance, the main question stays uncertain. One thing we can make sure of (from the same letter): “This state of hers is intimately connected with her occult training in Tibet (! ), and due to her (!) being sent out alone (!) into the world to gradually prepare the way for others.” – so it was not that her presumed death in battlefield, that changed her, and it was her herself. Also the words: “After nearly a century of fruitless search, our chiefs had to avail themselves of the only opportunity to send out a European body upon European soil to serve as a connecting link between that country and our own.” – does not necesserly mean, that the “sending out” was an occupation of the body by someone else, for as well it was just the birth of Eastern Adept into the Russian family. The powers in her possesion in early childhood speak about her Adeptship quite clearly. Also after Tibet most of her time she spent on soil of America and India, and not Europe. Why there was made the manipulation in her principles is stated as – “two reasons: the first to form the necessary connecting link, — the second as the safest warranter that certain things will never be divulged.” Which principle exactly was separated stays a secret, but that principle still continued to be on “wire”. There is nothing mentioned about the replacement of her principles with someone’s else, or even something about as you state it “departed”. And speaking about her personality, which acted sometimes not quite adept-like, the Master explains that it is because of “Atavism”, or the qualities of her ancestors. Adept born in the body, and grown into personality still carries the family karma, the country karma, the mankind karma, and also the personal karma (I feel no need to explain that to the man who knows much more than me). And there is no argue that at times her body was inhabited by Masters, for we have evidence enough. The only thing that sounds untrue is that she died in battlefield and was replaced with some Adept, and as we can see from the Mahatma Letter, that is was not the case. So may we not consider that mr. Crosbie made a presumption and was just humanly mistaking? And she herself was that Adept “on wire” with that lion gaze. And if she was not, than where is this her sacrifise and heroic deeds in bringing the Truth, the Masters speak about – in dying in battlefield and lending her body to someone else? I might agree with you, were it not for the fact that there are three other statements from three people other than Robert Crosbie in the above article, which suggest that the original occupant of the body had departed and been replaced by another. There are reasons for some Associates of the United Lodge of Theosophists to believe that Robert Crosbie, who was the founder of the ULT, was in some sort of ongoing contact with both the inner and real HPB and the inner and real WQJ, from around the early 1900s through to his death in 1919. (See https://blavatskytheosophy.com/the-man-who-rescued-theosophy/) This, and the apparent agreement between Crosbie’s remarks and the three other references mentioned above, lends weight to his statements on this subject, at least for some.